Conflict Urbanism: Aleppo on view at 2016 Istanbul Design Biennale, Are We Human? 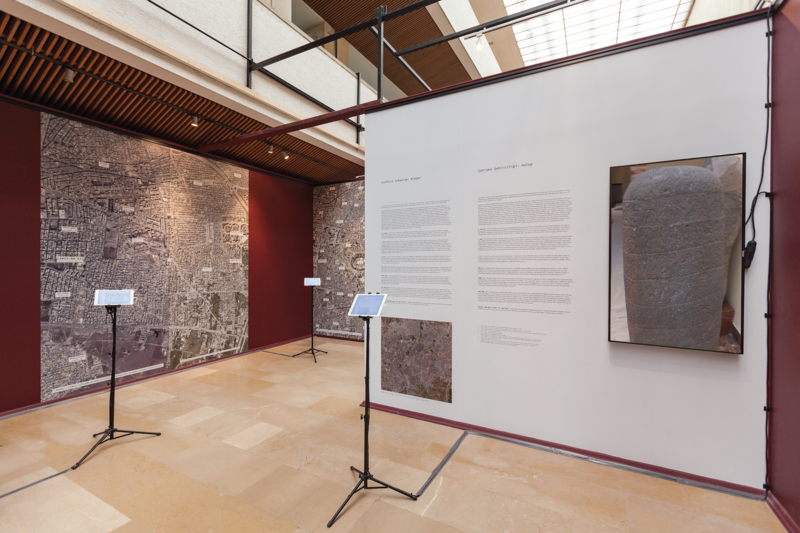 Our exhibit is on view in the Istanbul Archaeology Museum and presents two zooms from high-resolution satellite images of Aleppo at the scale of 1:1000. For every one unit of space in the gallery, the corresponding space in Aleppo is one thousand times larger. Visitors can also browse the Conflict Urbanism: Aleppo interactive map and case studies including a case study on the “Time Scales of Aleppo” researched and written for the exhibition. Exhibition photos by Sahir Ugur Eren.